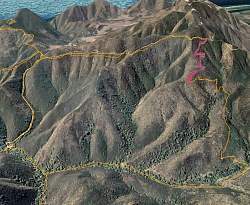 Topo map of Guadalasca Trail, and the section we worked (upper-left). 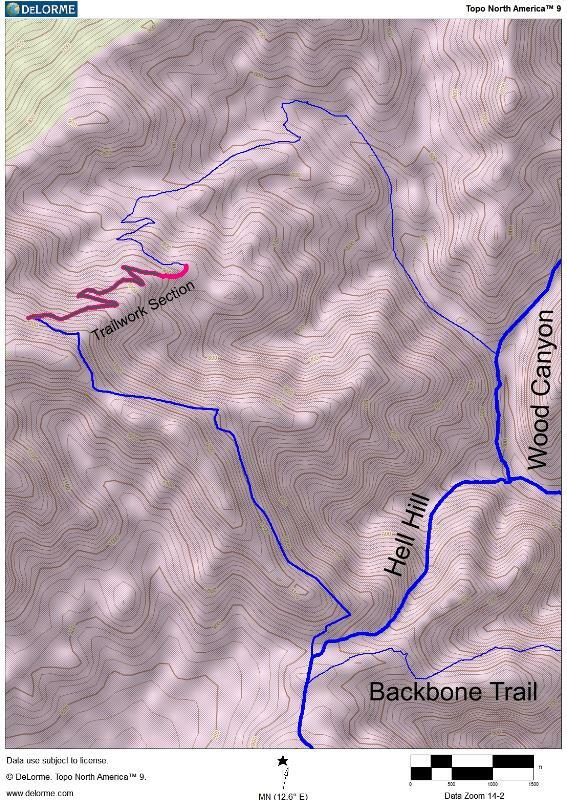 The area that was Sweco'd is shown in bright red; the section that we finished is the darker line within the Sweco's part. North is up.